How to Calculate your Aerodynamic Drag using a Power Meter - Estimate the power required to complete a time trial for any specific time or distance. 40 Minute Time Trial Warm-up - Properly prepare for the race while remaining rested, relaxed, and by staying cool. Aero Helmets Wind Tunnel Test - One common theme is that there were "good" and "bad" helmets, regardless of the rider that was testing them. Aerodynamics for Time Trial Racing - Where to invest upgrade dollars when considering new equipment and gear. Faster Time Trial Turnarounds - Efficient time trial turnarounds can lead to quicker TT times. Top-10 Cycling Recovery Tips - Recovery is undoubtedly one of the most important aspects of a well rounded training program for the competitive cyclist. Triathlete Primer for Your First Time Trial - The bike leg of triathlon and duathlon is essentially a time trial race sandwiched in between swimming and running. Time Trial Pre Race Day Preparation - You should arrive at the event relaxed and prepared to give your best effort. Pacing a Time Trial using Power and Perceived - The ability to pace a time trial correctly is a challenging yet essential skill for a competitive time trial cyclist to master. Click "Like Page" below to follow updates on Facebook! An Individual Time Trial (ITT) is a road bicycle race in which cyclists race alone against the clock (in French: contre la montre - literally "against the watch"). There are also track-based time trials where riders compete in velodromes, and team time trials (TTT). ITT's are also referred to as "the race of truth", as winning depends only on each rider's strength, endurance and determination against the clock. Starting times are at equal intervals, usually 30 seconds to one minute apart. 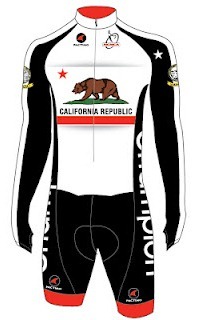 The Southern California Time Trial Series was created in 2003 to promote the sport of cycling time trial racing in Southern California and has become one of the most popular web sites in the United States for time trial related reviews, news, and training resources. 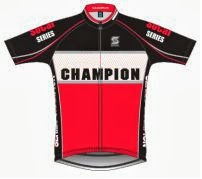 Southern California Time Trial Series p/b Rock N' Road Cyclery. Powered by Blogger.